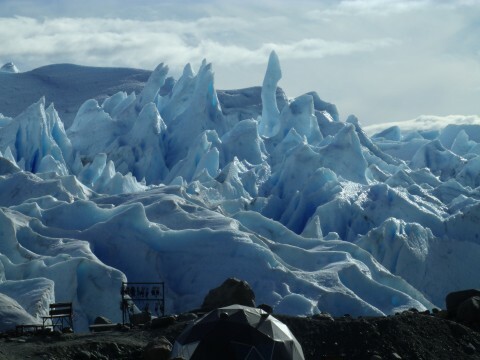 Where to stay in El Calafate? What to eat in El Calafate? 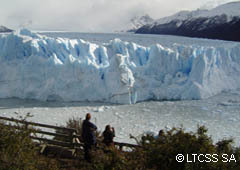 What to buy in El Calafate? 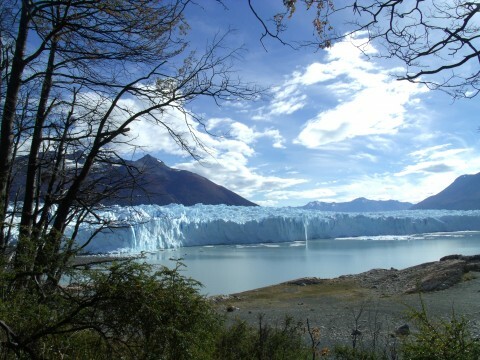 Book NOW for El Calafate 2019-20 Season! 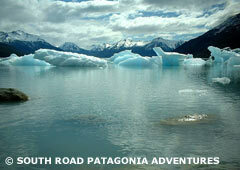 Perito Moreno Glacier: 3 nights + Nautical Safari Add-On + free breakfasts + in-out transfers. Book online now! We speak Spanish and English. A truly unforgettable experience! 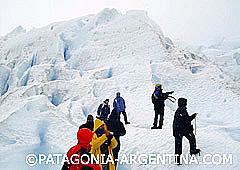 On this tour you will discover the unique sensation of walking over the ancient ice. 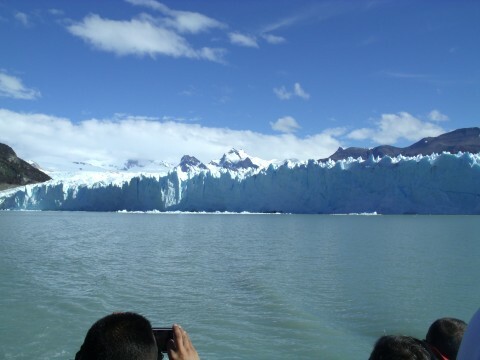 The tour begins at the Bay Harbor “Bajo de las Sombras”, sited 22 km from The Glaciers National Park entrance and 8 km from the Glacier. There you go on board in order to reach the opposite coast of Peninsula de Magallanes, crossing the Rico Branch of Argentine Lake. The sailing time is about twenty minutes. 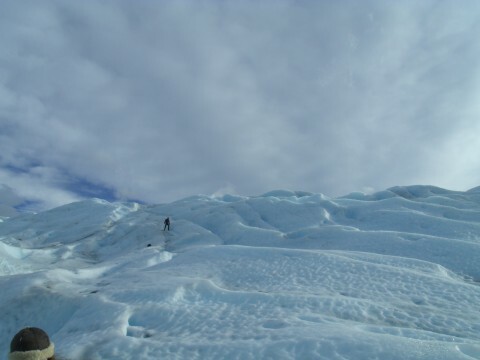 Specialized guides take the group (approximately 20 people) along a coast path that leads to the southern margin of the glacier after a 30 minutes trip. There, helped by experts, metallic nails in shoes are put, necessary to walk on ice. 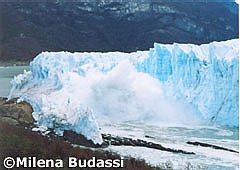 Also, the basic technique to use them is explained and a speech about glacier origin, regional flora and fauna is given. 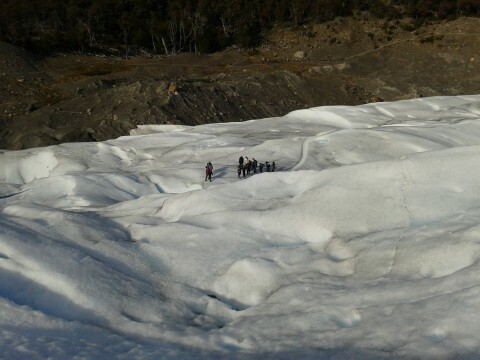 From there, you begin to climb towards the glacier slowly, walking for about two hours, stopping occasionally just to take some pictures. 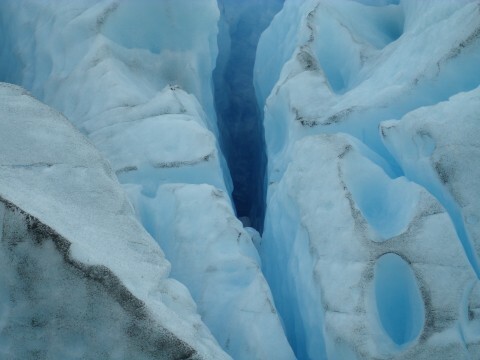 It’s a unique opportunity to appreciate in situ the different formations of the glacier (drains, cracks, etc.) and the varied tonalities of the ice that constitute a show by themselves. On the way back, an alternative path is used through the forest, allowing to obtain a different panoramic view of the glacier. When arriving to the shelter, lunch is eaten and then the group goes aboard to navigate back toward the starting point. 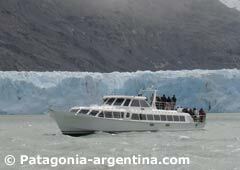 During this sailing, approaches to the front wall of the glacier in order to appreciate the real proportion of it are carried out.